Welcome to the University of Puget Sound Science Center. 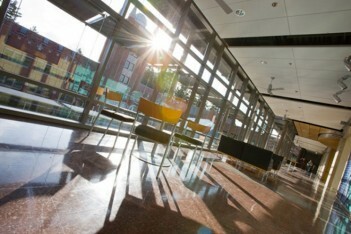 Designed to accommodate classes in a state-of-the-art research and learning environment, the Science Center combines Harned Hall, a newly built 51,000-square-foot interactive laboratory space, with a renovation of the university’s current science building, Thompson Hall. 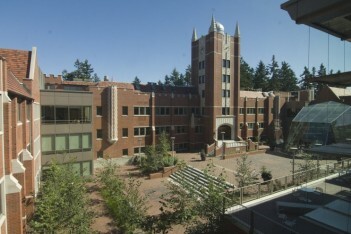 The entire complex was completed in Fall 2008. Why build a new Science Center? 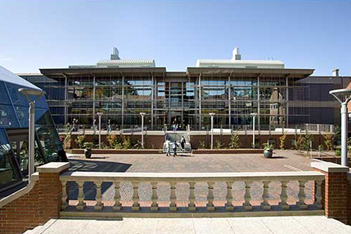 Increasing enrollment in science courses, changes in the way faculty and students engage in the study of science, and the evolution of scientific understanding necessitate critical and far-reaching expansion of Puget Sound's current science facilities. 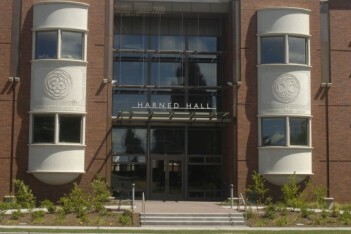 In 2005 Puget Sound broke ground for Harned Hall, a building that fuses fluid space and innovative design to encourage collaboration across the science disciplines. 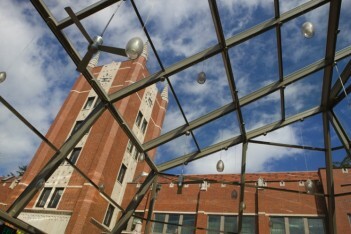 Construction of the new building was completed in time for opening in fall 2006. The creation of modern laboratory spaces and smaller classrooms makes the new Science Center a facility that accommodates the growing integration of the sciences in inviting and intimate spaces. 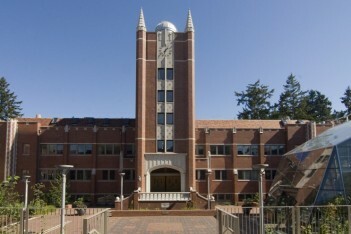 The adjoining Thompson Hall renovations were completed in fall 2007. As one of only 17 national liberal arts colleges west of the Mississippi—and one of only two in Washington state—Puget Sound plays a vital role in higher education nationally and in our region. Undergraduate science education thrives here, where independent research and inquiry-based labs are available to every student, not just upper-level students or science majors. Puget Sound graduates go on to the country's strongest graduate programs, enrich the labor market, and are accepted into medical school at a rate significantly higher than the national average. 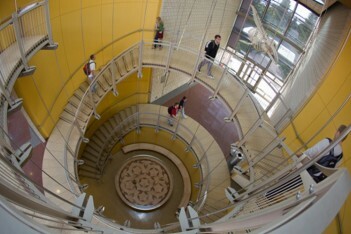 The Science Center at Puget Sound is critical to the continued success of the students we serve.